Ribbon Cutting & Open House for New Solar Facility | Otero County Electric Cooperative, Inc. Demonstrating one of the Seven Cooperative Principles - Concern for Community, the Carrizozo Solar Facility will deliver a clean, renewable, locally-sourced product and provides additional investment in our local communities. 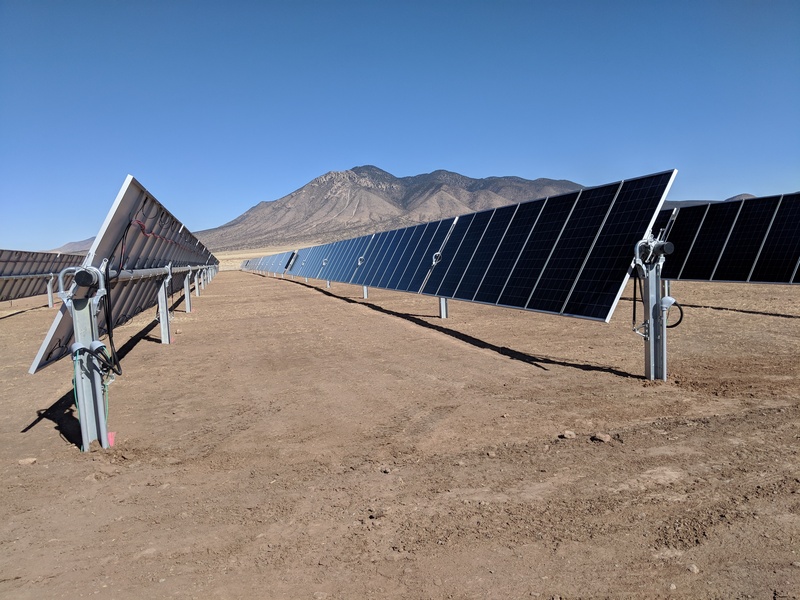 The 3 MW project contains 11,400 (315-Watt) solar panels, fifty (60-kilowatt) inverters, and a tracking system to ensure every panel follows the sun as it makes its daily trek across the sky. The system is estimated to produce 8,115 Megawatt-hours during its first year, which is enough to power an estimated 1,030 OCEC homes. This also translates into 8,975,190 pounds of CO2 emissions avoided in the first year, which is equivalent to the carbon absorbing capability of approximately 46,500 trees. This project is both an environmental and an economic win for OCEC’s Membership. Since the clean energy produced by this project becomes part of our wholesale energy costs, the average annual savings of over $250,000 will automatically be passed directly to OCEC members through the power cost adjustment (PCA) line item of the monthly bill. OCEC will have a ribbon cutting ceremony on March 23, 2018 at 3 PM, followed by an open house until 5 PM, giving our members and the public an opportunity to tour the site. Please join us… we would love to see you there.